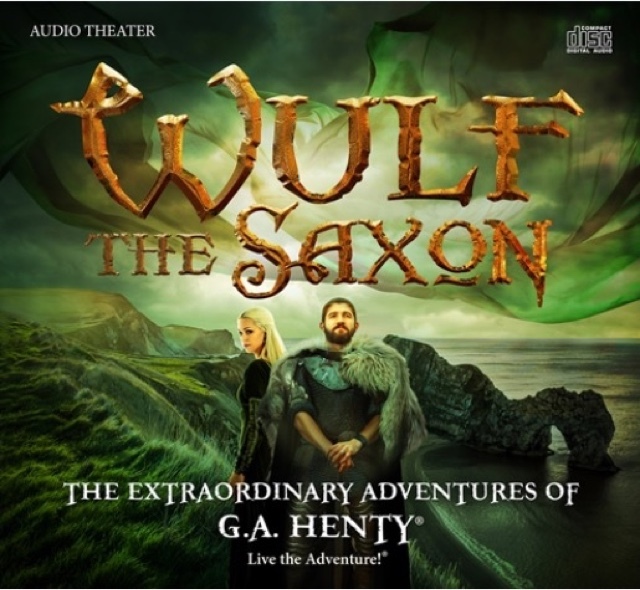 The following is a review of Wulf the Saxon from Heirloom Audio Productions with the TOS Homeschool Review Crew. We are a family who loves to read. As I added my latest completed book to my "books read in 2018" list, I realized that I had not been adding audiobooks to the list. With the addition of Wulf the Saxon, that list now includes ten books. All of Heirloom Audio's Extraordinary Adventures of G.A. Henty are based on Henty's historical books. The classics, transformed in such a realistic manner, do make history come to life for us. We first heard of G.A. Henty's history stories when my children were much younger, and I purchased a gorgeously bound partial set. I have to admit, though, after repeatedly trying to read them, we just couldn't get into them. Heirloom Audio changed that! We now have seven of the nine adventures that they have recorded and have enjoyed both listening to and learning from each one. These stories are presented as if G.A. Henty is the narrator. In real life, he wrote stories to tell history to his nephews. In this one, his audience includes two boys: Etienne and his little brother Leon. Our review package included the CD case and complete dramatic story on two CDs. My time spent driving has significantly decreased since both of my daughters first took driver's education. We often grab an audio book before heading out the door, and our trips turn into time-travel adventures. I can close my eyes and imagine the story unfolding around me, in surround-sound. Wulf the Saxon took us back in time almost 1,000 years ago to 1065. 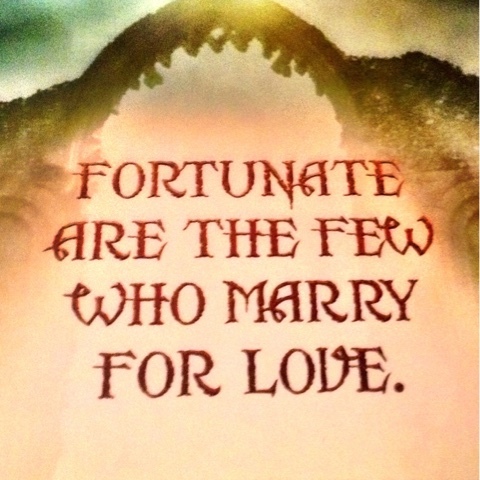 "Fortunate are the few who marry for love." 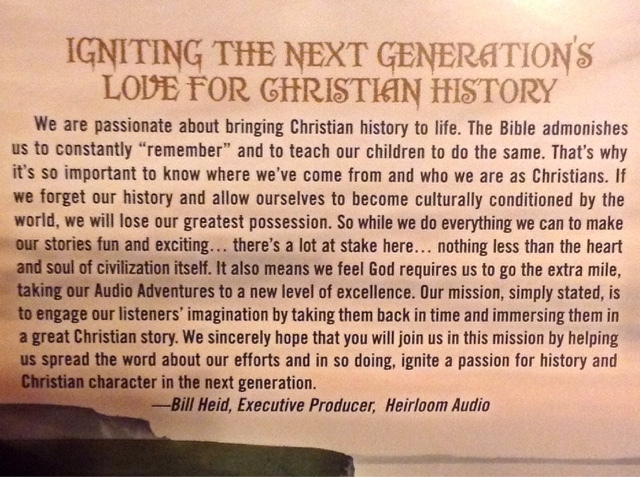 This quote is significant to the story, and this image is inside the CD case. It resembles advice my Granny gave me long before I even met my husband about the importance of marrying someone I loved and who loved me. Yes, this historical tale includes a love story. In a time of arranged marriages, that marriage for love happened too is encouraging. "He wants to hear from your own lips that you go to him willingly." My son agrees with the young boys listening to the story. "Leave out the kissing parts, if you please." The actors employed by Heirloom Audio for this audio theatre Wulf the Saxon were perfectly suited to the parts. It is easy to imagine their English accents belonging to the characters they represented back in time. The cover picture with the sword made me think of Camelot and Excalibar. My children and I didn't hear the clothes described so that image combined with the audio. My son said the cover image was fitting as he was "a big, mighty guy." As you listen to "The ship was again driven against a submerged rock," the sounds of waves crashing and men screaming add to the terror. This story requires you to pay attention to details. There are so many names and details to keep track of, and some of the action is incredibly fast paced. I understood the story much better the second time I listened to it. There are some gruesome scenes; it is after all a story of rebellion and war. As a girl, I thought of castles as glamorous. This tale paints a picture of a castle at wartime, how the defense system is designed, and how the castle may be overthrown. Although as I mentioned above it includes a love story, it is not a glamorous story. It was, however, quite educational. When we reviewed Captain Bailey's Heir (one of my favorites!) last fall, we also joined their Live The Adventure Club where study guides and online versions of each adventure purchased are now found. Before that, we received either larger brochures tucked in with the CDs or individual downloads to the corresponding study guides. I've been checking the website often, but the study guide for Wulf the Saxon is still unavailable. Now it says "Bonuses coming soon!" Visit Heirloom Audio on Facebook, Twitter, Pinterest, Google+, YouTube, and Instagram, and be sure to tell them hi from Jennifer at A Glimpse of Our Life. The accompanying study guide is now available!